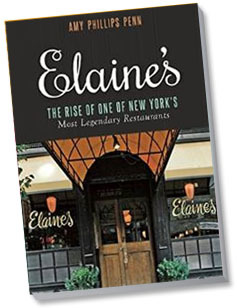 A tribute to legendary restaurateur Elaine Kaufman and her renowned Manhattan creative melting pot. 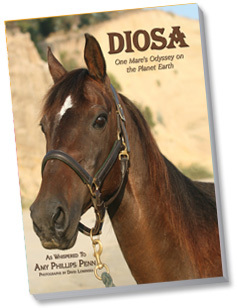 A true story from a horse's point of view on why we need to save the planet. Amy Phillips Penn began her career as assistant to the world-renowned society/fashion columnist, Eugenia Sheppard. After Sheppard’s death, Penn continued Eugenia’s “Around The Town,” society column for the New York Post under her own byline. The column was syndicated in the Palm Beach Daily News. 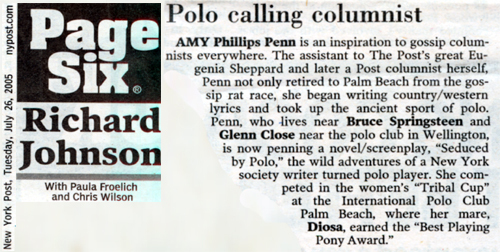 As a Palm Beacher, she continued her coverage of society for several Palm Beach publications, until she convinced an editor that she could cover a polo clinic by riding through it. 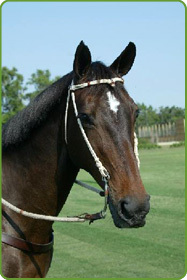 Emerging intact, she became obsessed with polo, not an uncommon reaction for a first time player. Dismounted, she writes for polo magazines including the Palm Beach Polo program, P.Q., Polo Player’s Edition and Sidelines. Other credits include: Avenue, Hamptons, Interview, the Kravis Center for the Performing Arts program, Palm Beach Illustrated, The Palm Beach Post, Palm Beach Society, South Florida, Town & Country and Wellington. Penn has also covered fashion reporter for GQ and The New York Times Menswear magazine. Her love of theater has been awarded, by serving as a Tony Awards voter for a year. As an art aficionado, she has done commentary on Andy Warhol for CNN. "Let The Horse Come To You"
"Wouldn’t Want a Man Who Didn’t Make Me Crazy"
Her novel/screenplay, Seduced by Polo, is a Hollywood natural. Who can resist the wild adventures of a woman polo player in a world of business moguls and macho Argentine players?